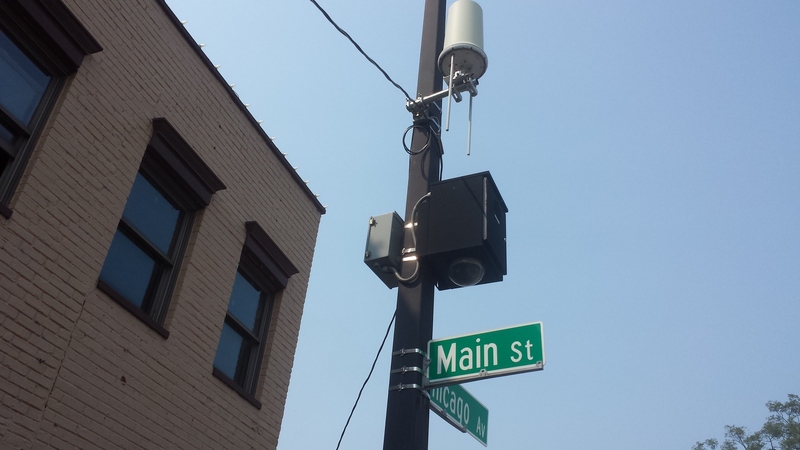 City of Naperville required a vendor able to install a network of CCTV cameras throughout the downtown business district. The existing system included aging cameras as well as a wireless infrastructure incapable of handling the bandwidth demands of modern hi-resolution cameras. Pace Systems proposed installing panoramic cameras for general observation and overview, along with PTZ and fixed cameras for hi-resolution, detailed monitoring. We also proposed installing a Fluidmesh network of radios that were capable of handling the required bandwidth of the upgraded cameras with room for future expansion. The result was that City personnel were given a camera system providing a much wider field of view covering much more of the downtown area. With the high resolution PTZ and fixed cameras, areas of particular concern were provided with highly detailed video imagery.